Whether you’re busy traveling to and from school or work (or both! ), it’s essential that you have reliable transportation of your own. Gone are the days when having a car was considered a luxury—Sterling drivers know that, in our fast-paced modern world, having one’s own car is a necessity. But never fear! It’s for this very reason that, here at Lindsay Volkswagen of Dulles, we offer a selection of used cars priced under $10,000. Browse our inventory of highly-affordable used models below, explore our CPO Volkswagen TDI inventory, and contact us today to set up a test drive! While the allure of buying a cheap car off Craiglist may be strong, there are numerous advantages instead to shopping from a dealership like ours. One of the biggest and most important reasons you should buy your next affordably-priced used vehicle at Lindsay Volkswagen of Dulles is that, unlike buying a car from a complete stranger on the Internet, we are a name you can trust. 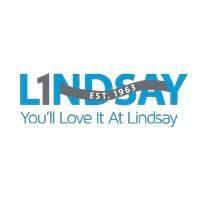 As a part of the Lindsay Automotive Group, we’ve been serving the greater DC area for nearly 70 years! We work tirelessly to earn the trust of every single person that walks through our doors, and this is no more apparent than in the countless favorable reviews we’ve received from our customers. Plus, when you shop with us, we’re invested in you not just before the sale but afterward, too—our highly-trained service staff is dedicated to helping provide you with the best vehicle care around and a succinct checklist before you buy used, so you can continue to enjoy driving your used car year after year. So for a dependable used car that comfortably fits your budget, visit us today, and drive home in one of our wallet-friendly cars priced under $10,000. You’ll be glad you did!